Home summer shedding Do We Shed More Hair During Summer Season? What is hair shedding and when do we shed the most? We often get asked about the topic of shedding. 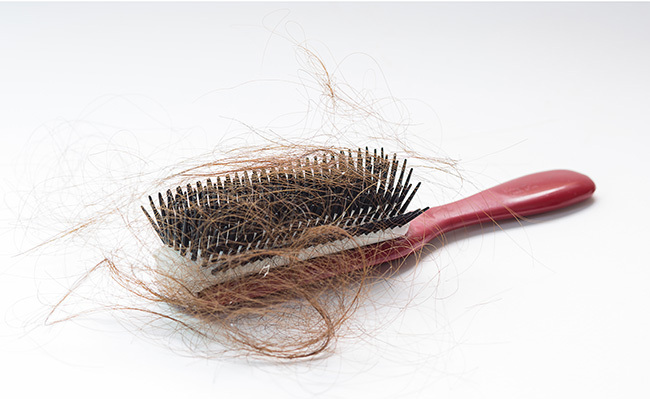 Shedding is a natural process that happens to everyone, but losing hair can be quite scary. And let’s be honest, not everyone who loses hair will end up looking like Bruce Willis. So, how much shedding is considered "normal," and what season do we typically shed the most? On average, most of us tend to shed the most during the hotter months of the year. In a way, a bit like animals, we drop hair to keep cool in the warmer climate, and then experience particularly strong hair growth in the autumn and winter seasons. The problem for many men and women is too much shedding in the summer and not enough growth during the colder months of the year. How to stop hair shedding? Unfortunately shedding can't be stopped completely, as it is a genetic pattern in the human body. However, the pattern of hair fall can at least be minimised to a certain extent. 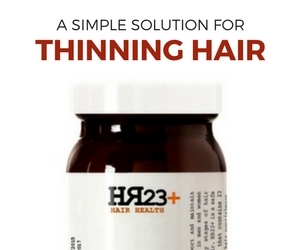 Taking key supplements like HR23+, which contains a good blend DHT blocking properties combined with a strong list of hair growth agents, can indeed help prevent the pattern of hair fall and promote the formation of hair growth. What other products are useful for minimising shedding? We have a couple of recommendations for preventing the rate of hair loss, both designed to give you stronger, healthier hair. 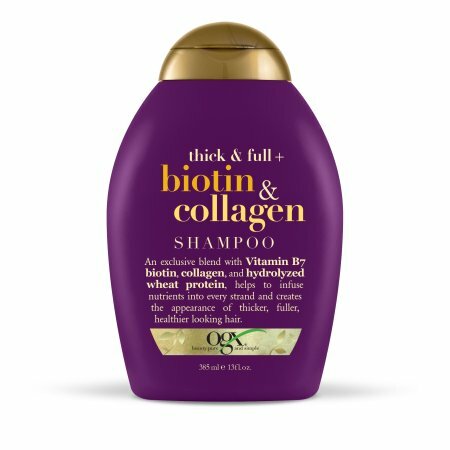 Biotin & Collagen Shampoo by OGX (left) is a top class shampoo that contains a broad range of hair beneficiary ingredients that help promote better, stronger looking hair. You can purchase a bottle for less than £10, which is very good value for money. We'd also recommend trying a good SPF20+ sunscreen lotion on your hair. It is essential that you protect your locks where possible, as the sun can damage your hair cells, therefore regularly applying a non-greasy sunscreen lotion will benefit your hair in the long run, and pave the way for thicker, stronger hair growth.